Have a question? 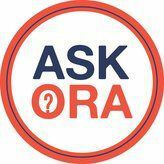 ASK ORA! offers you a complete resource solution, thereby saving you time. You or your team members can make a request, and we’ll find the answer. is the only Ohio foodservice-specific source for information you need to run your business. has a team that is exclusively focused on the success of your foodservice business. Period. You can trust the information is relevant, timely and accurate. Sure, you can conduct internet searches to find what you need, but how do you know it is reliable information? The ORA is your trusted source. Through ASK ORA, the ORA staff serves as an extension of your team. We find the answers you are seeking on the matters important to your foodservice business, whether it be music licensing, food safety, federal, city, state and county requirements, social media, marketing or HR. Click on the links below to gain access to additional information and resources regarding the Ohio foodservice industry.